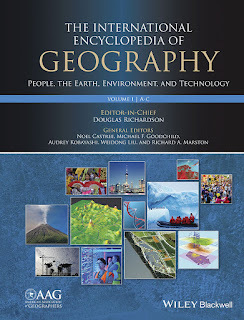 In the recently released “The International Encyclopedia of Geography: People, the Earth, Environment, and Technology” I was asked to write a brief entry on “Cellular Automata“. Below is the abstract to my chapter, along some of the images I used in my discussion, the full reference to the chapter. Cellular Automata (CA) are a class of models where one can explore how local actions generate global patterns through well specified rules. In such models, decisions are made locally by each cell which are often arranged on a regular lattice and the patterns that emerge, be it urban growth or deforestation are not coordinated centrally but arise from the bottom up. Such patterns emerge through the cell changing its state based on specific transition rules and the states of their surrounding cells. This entry reviews the principles of CA models, provides a background on how CA models have developed, explores a range of applications of where they have been used within the geographical sciences, prior to concluding with future directions for CA modeling. 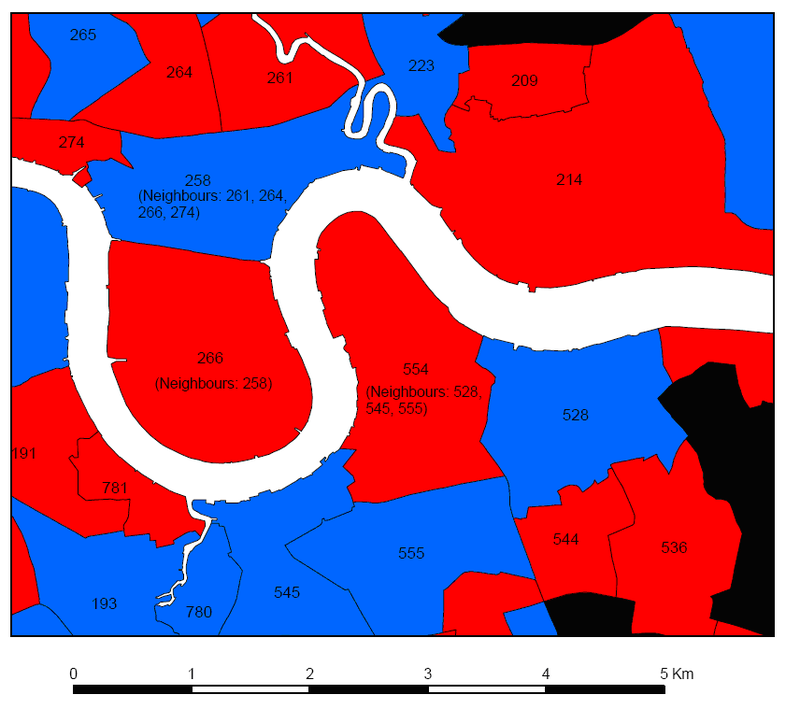 The figures below are a sample from the entry, for example, we outline different types of spaces within CA models such as those shown in Figures 1 and 2. 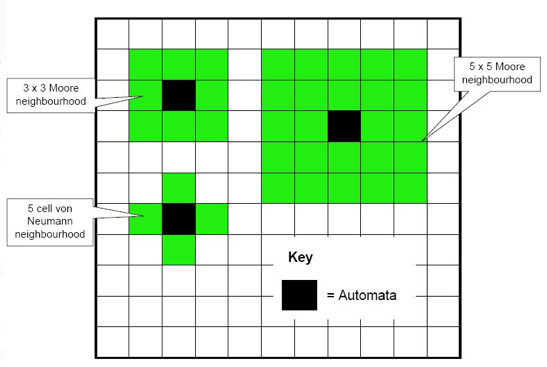 We also show how simple rules can lead to the emergence of patterns such as the Game of Life as shown in Figure 3 or Rule 30 as shown in Figure 4. Figure 2: Voronoi Tessellations Of Space Where Each Polygon Has A Different Number Of Neighbors Based On A Shared Edge. Figure 3: Example of Cells Changing State from Dead (White) To Alive (Black) Over Time Depending On The States of its Neighboring Cells. Figure 4: A One-Dimensional CA Model Implementing “Rule 30” Where Successive Iterations Are Presented Below Each Other.